Volunteers provide a broad source of expertise, talent, and support for City programs. Volunteers assist with special events, greet visitors, foster animals, conduct tours, clean up creeks and so much more. To learn more about how you can get involved and make a difference in your community, click on any of the links below. The City offers many exciting ways to get involved with community programming. From greeting visitors to planting native plants and everything in between, we provide volunteer opportunities that will appeal to a wide spectrum of skills and interests. Keeping volunteer resources accessible is important to us. To download important volunteer related documents, handbooks and guides, continue to the Volunteer Resources page. 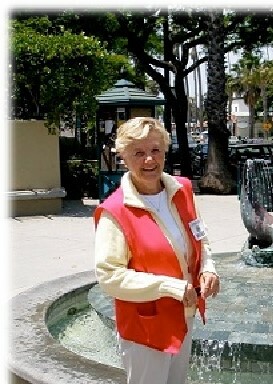 There are many organizations that offer fulfilling volunteer opportunities in Carpinteria. Take a look at some of the local opportunities that are available. If you LOVE Carpinteria, enjoy sharing your Carpinteria knowledge, and like to help others, the City HOSTs want you! The City HOSTs create a welcoming environment showcasing our friendly and inviting community. HOSTs greet visitors, answer questions about Carpinteria, and provide information on the many activities available, points of interest, and places to shop and dine. During the summer months, HOSTS volunteer their time at the Kiosk on Linden Avenue. HOSTs work in teams of two on either Friday, Saturday, or Sunday in two hour shifts (10am, noon, and 2pm). The HOST Program has been a Carpinteria tradition for the last ten years. HOSTs have donated over 6,500 hours, greeted nearly 62,000 visitors from almost every state and more than 22 different countries.